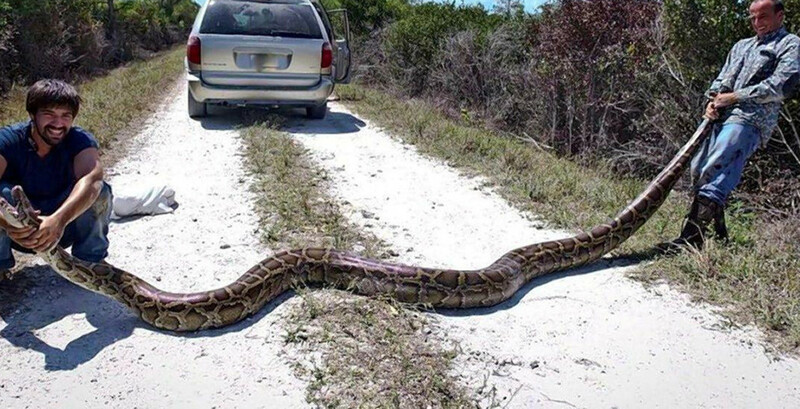 Two Florida python hunters caught a 15-foot-long snake as part of a South Florida python pilot program called the Everglades&apos; Python Challenge. 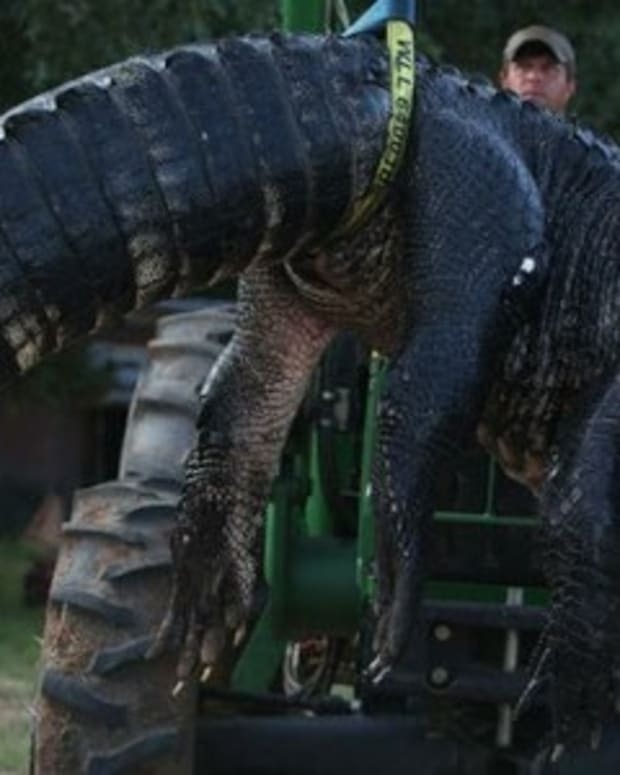 Python hunters Nicholas Banos and Leonardo "PythonKing" Sanchez captured the enormous reptile, which weighed 144 pounds, on April 1, as part of a state program to reduce the number of nonnative Burmese pythons in the region, according to New York Daily News. 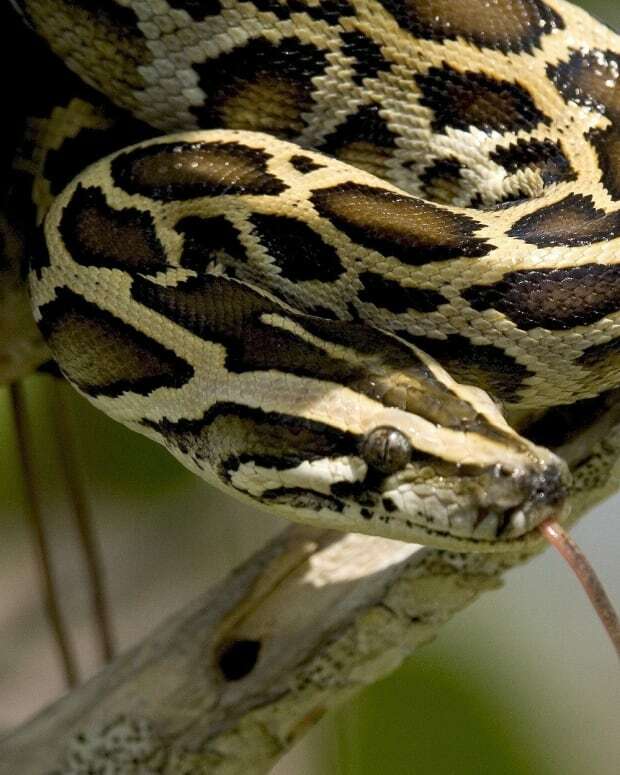 The snakes have reportedly been damaging public land, leading the South Florida Water Management District to fund a program to pay python hunters to remove the creatures. 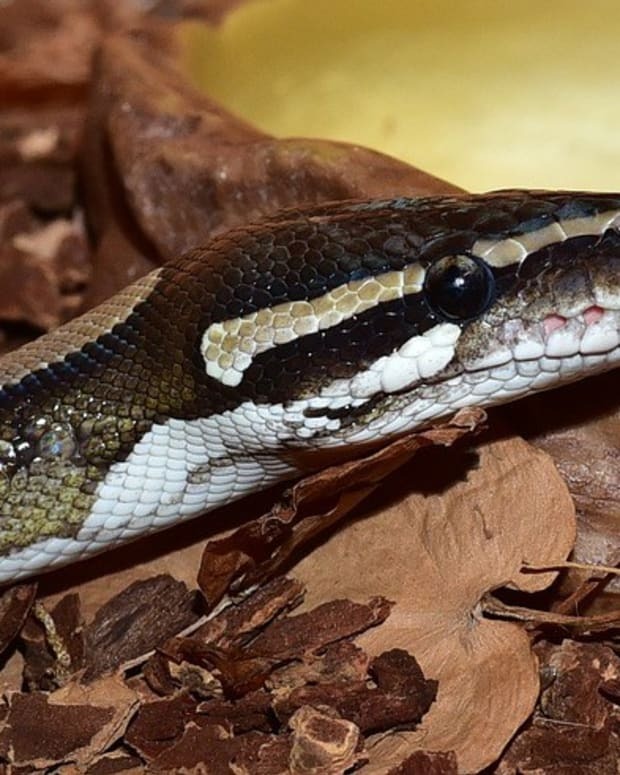 The Everglades&apos; Python Challenge, which will last for 60 days, pays snake hunters minimum wage, along with awarding them $50 for each python over 4 feet long, with an additional $25 for each foot over 4 feet, WOFL reports. The snake captured by Banos and Sanchez is reportedly the largest python caught so far this season. 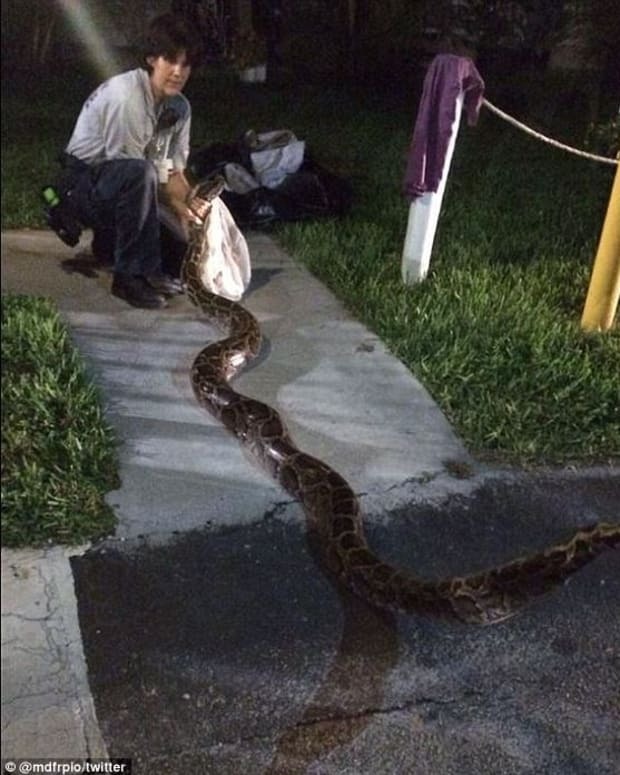 "The first day of the challenge, we caught the biggest snake," said Banos according to WSVN. "I saw a little gloss, and I saw a big square brown patch, and automatically, I knew what it was," Sanchez said. Banos said Sanchez had called out, "Python, python!" and he got out of the car to see the enormous snake sprawled out near some water. He said the two hunters jumped at the snake, and Sanchez grabbed it by its tail. "The second he grabs it by the tail, the snake starts to bee-line into the trees, so he tells me, &apos;Go for the head, go for the head!&apos; I&apos;m trying to get into the trees because it’s all over the place," said Banos. "I tried pulling it, so it wouldn&apos;t go into the water, and the snake just straight bee lined towards my face," Banos added. "And that&apos;s when he jumped in, and he jumped from behind, and he grabbed it by the head. He even got nipped a couple times." Sanchez said the two hunters try to capture snakes to help protect the area&apos;s ecosystem. "Native animals, deer, raccoons. Whatever it is. Birds. They&apos;re disappearing. 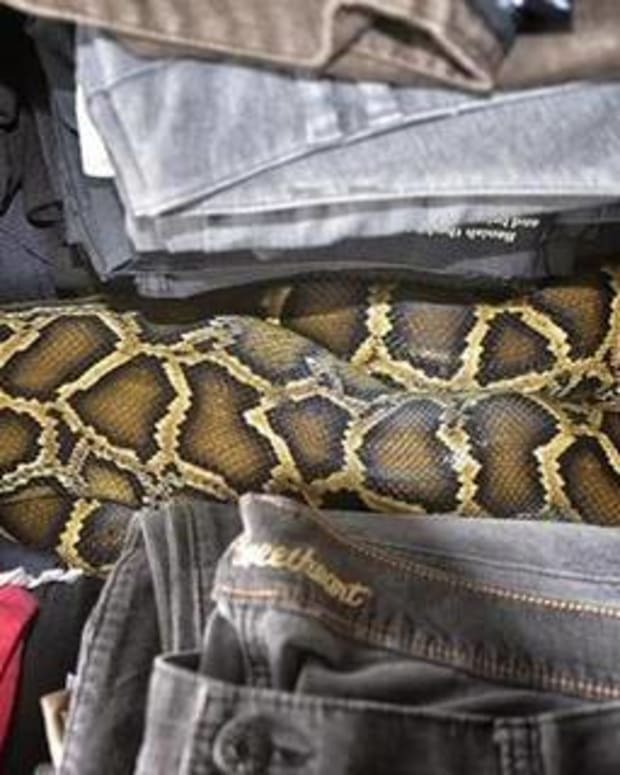 They&apos;re disappearing, and it’s because of the python," said Sanchez. "We don&apos;t hunt for sport. We&apos;re not hunting to kill. We hunt to remove," added Banos. 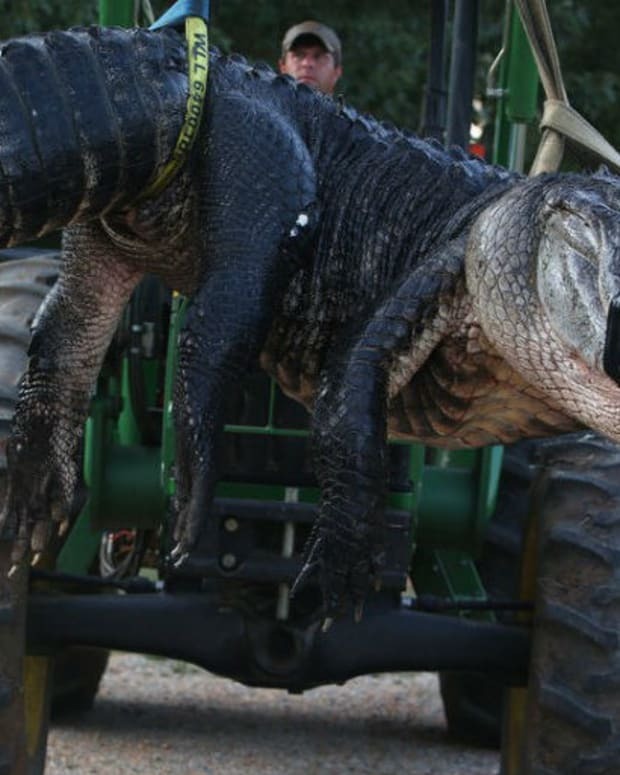 "Catch and remove, but having to kill it was a little rough. For us, we&apos;ve never really had to do that before, so it was satisfying, but it was also a little bit of heartbreak." Hunter Donna Kalil, one of the 25 hunters participating in the Everglades&apos; Python Challenge, mentioned similar motivations for joining the challenge. "They’re decimating the environment, so I figured, &apos;Hey, if I can get a couple, it&apos;d be a great adventure, and I&apos;d be able to help the environment," said Kalil.